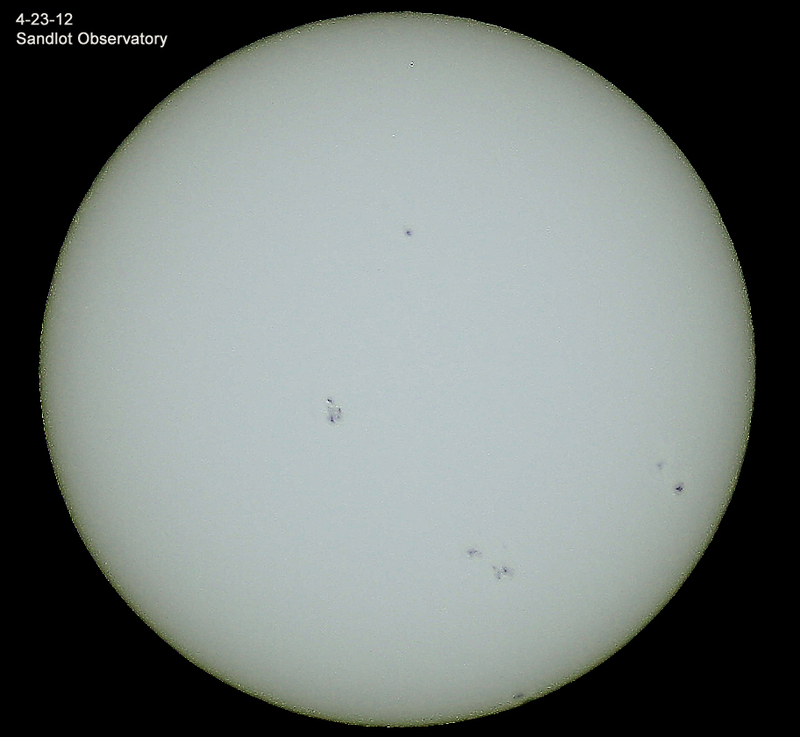 Here’s a very quick image of today’s sun. 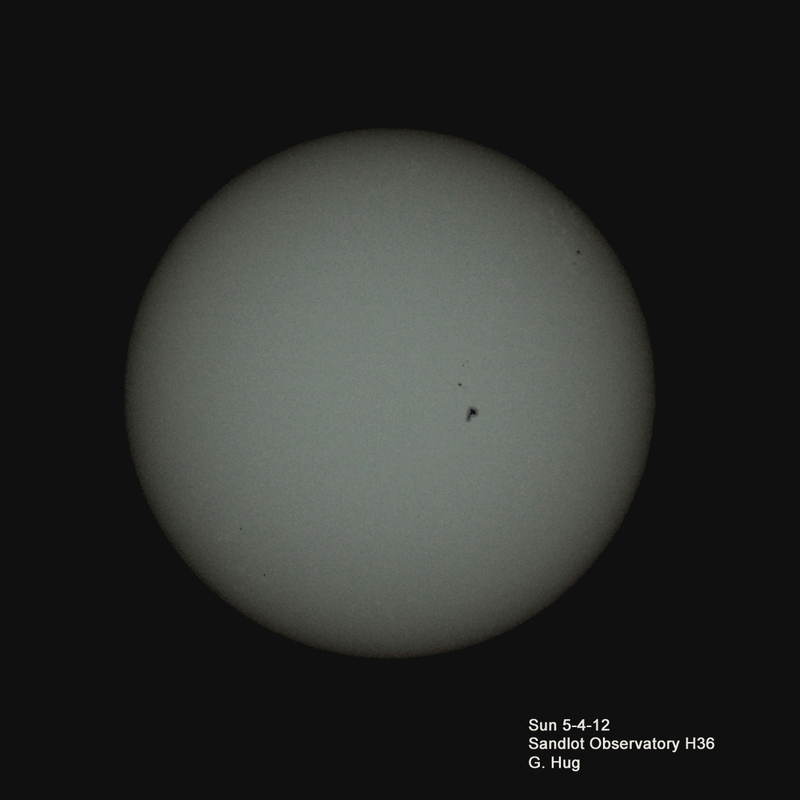 I took it using the 80 mm f/6.25 Apogee refractor and a Cannon EOS rebel XS. 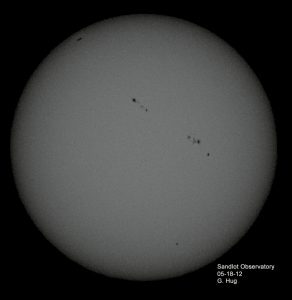 OK, It’s no longer just today’s image but a few images taken over several weeks showing the changing face of the sun..
And still taking images of Arp’s Peculiar Galaxies for the Astronomical League program, I’ll post a few recent ones. These are taken at Farpoint Observatory with the 27″ “Tombaugh” reflector. Arp 120 (above) is a seriously disturbed galaxy pair, with an amazingly distorted trails of stars. Those small dark patches in the star trails are real–rogue dark nebulas blocking some of the light. Arp 242 is a crowd-pleaser, two galaxies that appear to be making several passes at each other and gravitationally smearing each others’ shapes before parting ways or (more likely) eventually merging. Not sure which, yet–please ask again a few billion years from now. Two more gravitationally interacting galaxies. If your monitor is adjusted well, you’ll see two streams of stars between the galaxies. The tiny bright spots in the galaxies’ arms are star-forming areas. Any time you have stars and surrounding gas colliding with this bulk and force, you have to expect lots of new stars to form. Arp 286 shows yet more galaxies being distorted by each other’s gravity. And it’s almost always gravity that makes the shapes of Arp Peculiar Galaxies so, well, peculiar. It’s not their fault–if we had 200 billion solar masses stretching us up close for billions of years, we might look a bit peculiar, too.